A lot of talk about Elizabeth Alexander’s inauguration poem, “Praisesong for the Day.” Some people liked it, some didn’t. If you pass by over the next few days, do participate in our poll! I’ll save my comments until the results are available. I’ve been thinking about poetry, though, and my ruminations benefited yesterday from a conversation with Dan Varrette, one of the editors at Insomniac Press (thanks, Dan), as well as some eavesdropping online today. I’ve often found myself remarking, in discussions about poetry, that soldiers in WWI took books of poetry with them into the trenches. Poetry was that important. So, like, maybe that would be a good criterion to apply to a poem? Would you take this poem with you into a war? Would you have wanted to take Elizabeth Alexander’s poem, or a piece of that poem, with you into a war? That’s kind of a tough test but, since some poems at a previous time have passed it, maybe it’s not an unfair measure. How high? That high! There are actually poems that I remember, and am glad to recollect, some from when I was at school, and other poems or bits of poems encountered since. So maybe that could be another criterion. Is this poem, or a part of a poem, something I want to remember? We do remember songs, after all, the truth being that some songs are fine poems: think Bob Marley, the Beatles, Leonard Cohen. Between this Africa, and the English tongue I love? Should all poets address concerns like these? Or is it only people whose history includes oppression and the horrors of slavery, deracination and forced relocation across oceans and continents — and if not those precise subjects, versions thereof? Is England’s Philip Larkin looking, albeit with a much tighter lens, and from a somewhat different angle, at who we are and how our history informs us in his bad-behave poem, “This Be the Verse”? These and similar questions beg to be asked. Does white people’s poetry have to be different from the poetry of black people? Does the poetry of black and white people have to be different from the poetry of native people? What about gay people? Women? Men? Do they all write separate poetries? Are some poets preoccupied with ‘new and different’ because for them poems need no longer bear any serious burdens? 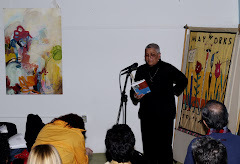 If, after all, poems struggle with issues of justice, of unequal relations within and between nations, of racism, classism, gender relations, it would seem that they hardly need to set out to be different. Must they not get there under the terrible strain? And if they don’t, what does it matter? Isn’t the issue whether the words make your hair stand on end, or fail to? It’s interesting to compare the excerpts from these three poets. Derek Walcott sounds almost histrionic, set against Bob Marley’s laconic recounting of rapine and Larkin’s mischievous — and deadly — counsel to us to abandon the reproductive enterprise. But the anguish that wrenches Walcott’s questions from his gut emanates from a history of capture, abduction, and plantation slavery that more than supports it. The shrieks are warranted. If Bob’s tempo is different, he’s singing the same tune. And Larkin’s little nursery rhyme delivers the most terrifying verdict of all: misery is our inheritance, and so we should just stop. Period. Interestingly enough, all three use rhyme (Bob’s rhyme of ‘Almighty’ and ‘triumphantly’ is missing here), and three better practitioners of the Muses’ art it would be hard to pick. More on poetry soon.